It is that time of year when the flu and cold are being passed around with holiday cookies and cards. Below are 5 helpful tips to help PH patients avoid getting sick. They are available almost everywhere and most insurance companies pay for them. It is important to inform the provider administering the vaccine if you have any food or drug allergies. You can’t get the flu from a flu shot. The virus is completely inactivated. You can get a sore arm and a low grade fever and feel a bit achy as your body builds a protective immune response. 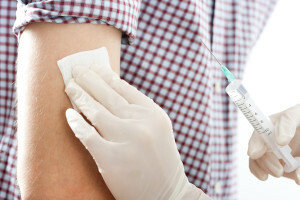 You can stop by your doctor’s office or pharmacy for this quick and easy vaccination. Good hand washing is the simplest and most effective way to prevent transmitting germs. It may not always be convenient to wash your hands with soap and water so carry a small travel hand sanitizer with you at all times. They have convenient bottles that fit in small purses or bags and some even have clips to attach to a key ring or belt loop. 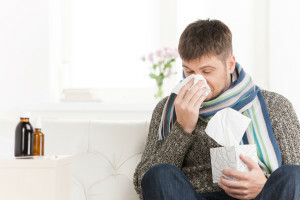 Getting the flu or cold is more than a slight inconvenience for PAH patients. Any added stress on a patient’s body can make them decompensate and have worsening pulmonary hypertension symptoms. If a sick contact can’t be avoided focus on sanitizing your hands after the contact. A patient is more susceptible to becoming ill if they are poorly nourished or sleep deprived. PH makes a lot of demands on the body and it is very important to take excellent care of yourself to avoid becoming run down. #5 Don’t Be a Hero. Admit if you don’t feel well. Get lots of rest and call your pulmonary hypertension physician’s office to inform them if you aren’t able to take you medications, eat well, or keep fluids down. Avoid decongestants and use cough suppressants, mucinex, or sinus irrigation for cold symptoms. AYR nasal gel is a great product to help keep the nasal passages moist. Medications such as diuretics, potassium, Adempas, and Orenitram may have to be adjusted if you are having severe nausea. Your fluid restriction may be altered to help prevent you from becoming dehydrated.